Resolving the legal nodus as to whether the beneficiary of an unconditional and irrevocable bank guarantee can be injuncted from enforcing the guarantee at the instance of the customer of the bank on whose behalf the guarantee has been furnished, a bench of the Supreme Court comprising of Justice Jagdish Singh Khehar and Justice R. Banumathi has affirmed and followed the dicta laid down in U.P. Cooperative Federation Ltd. vs. Singh Consultants and Engineers (P) Ltd., (1988) 1 SCC 174, and Vinitec Electronics Private Ltd. vs. HCL Infosystems Ltd., (2008) 1 SCC 544 wherein the law on the subject has been laid down to the effect that the person in whose favour the guarantee is furnished by the bank cannot be prevented by way of an injunction from enforcing the guarantee on the pretext that the condition for enforcing the bank guarantee in terms of the agreement entered into between the parties has not been fulfilled, and that the seller cannot raise the dispute of whatsoever nature and prevent the purchaser from enforcing the bank guarantee by way of injunction except on the ground of fraud and irretrievable injury. The Supreme Court was considering an appeal preferred by M/s Adani Agri Fresh Ltd.- the 3rd defendant, in a suit for permanent injunction filed at the instance of the 1st respondent (before the Apex Court) seeking to restrain State Bank of Mysore (for short “the bank”) which had executed a bank guarantee on his behalf from paying any guarantee amount to the 3rd defendant till the claim of the plaintiff and the 3rd defendant was settled amicably or through court of law. The appeal was filed challenging the order and judgment of the Karnataka High Court which declined to interfere with the order passed by the Trial Court injuncting the bank from making payment of schedule amount to the 3rd defendant till the disposal of the suit either amicably or judiciously between the plaintiff and the 3rd defendant. For securing payment in lieu of the products supplied by the appellant to the 1st respondent - M/s RMSFC, the appellant required the 1st respondent to furnish bank guarantees, whereby the appellant would be entitled to recover the proceeds of the products, transported by it to M/s RMSFC. Three such registered bank guarantees which constitute the basis of the controversy were executed by the State Bank of Mysore on 24.12.2010, 09.02.2011 and 10.02.2011. Under the bank guarantees, the appellant – M/s AAFL would first make a demand/claim for the payment in lieu of fruits transported to the 1st respondent and in case the 1st respondent failed to reimburse the consideration, the appellant had the right to make a demand from the guarantor, for the above payment. The aforesaid demand in terms of the bank guarantee was to be made on the basis of a demand/claim at the hands of M/s AAFL indicating the despatch of goods, and the amount payable in lieu thereof. Thereupon, the guarantor was to make the payment of the amount claimed, immediately without any demur, and without any recourse. On the receipt of such a certificate of the outstanding amount(s), the bank guarantee(s) would stand invoked forthwith, notwithstanding any suit or proceedings, that may have been instituted by one or the other party, with reference to the contractual obligations. It was the case of the appellant, that the company had issued an “Outstanding Certificate” seeking payment, on account of despatch of fruit to M/s RMSFC. The outstanding debt indicated therein was, for a sum of Rs.62,32,328/- (Rupees sixty two lakhs thirty two thousand three hundred and twenty eight only). Consequent upon the aforesaid demand being not honoured by the 1st respondent, the bank guarantee was sought to be invoked, through the aforesaid “Outstanding Certificate” dated 31.05.2011, whereupon the 1st respondent, in order to wriggle out of the liability filed the suit for permanent injunction before the Civil Judge (Junior Division), Mysore with the prayer already referred above. After entertaining the suit, the Trial Court passed an order of interim injunction restraining the bank from making payment of schedule amount to the 3rd defendant till the disposal of the suit either amicably or judiciously between the plaintiff and the 3rd defendant. The order of the Trial Court was affirmed by the Additional Senior Civil Judge, Mysore, on a challenge raised thereto, on 13.09.2011, and also by the High Court of Karnataka which did not deem fit to interfere with the interim order granted by the Trial Court. The appellant contended before the Apex Court that the terms and conditions of a “Deed of Guarantee” could not be injuncted from being given effect to, on the basis of the principle adopted in determining “prima facie case”, “balance of convenience” and “irreparable loss”, which are the usual parameters on the basis whereof injunctions are granted. Insofar as the injunction of an unconditional bank guarantee is concerned, it was submitted, that the same could be granted only if the court was satisfied about the commission of a flagrant fraud, at the hands of one or the other contracting parties, or alternatively if the Court was satisfied that an irreparable injury or some irretrievable injustice would be caused to the concerned party. Surveying the case law on the subject, more particularly the decisions reported in U.P. Cooperative Federation Ltd. vs. Singh Consultants and Engineers (P) Ltd., (1988) 1 SCC 174, and Vinitec Electronics Private Ltd. vs. HCL Infosystems Ltd., (2008) 1 SCC 544, Justice Khehar, writing the judgment for the bench affirmed and followed the dicta laid down in these decisions that the person in whose favour the guarantee is furnished by the bank cannot be prevented by way of an injunction from enforcing the guarantee on the pretext that the condition for enforcing the bank guarantee in terms of the agreement entered into between the parties has not been fulfilled, and that the seller cannot raise the dispute of whatsoever nature and prevent the purchaser from enforcing the bank guarantee by way of injunction except on the ground of fraud and irretrievable injury. “14...(i) While dealing with an application for injunction in the course of commercial dealings, and when an unconditional bank guarantee or letter of credit is given or accepted, the Beneficiary is entitled to realize such a bank guarantee or a letter of credit in terms thereof irrespective of any pending disputes relating to the terms of the contract. 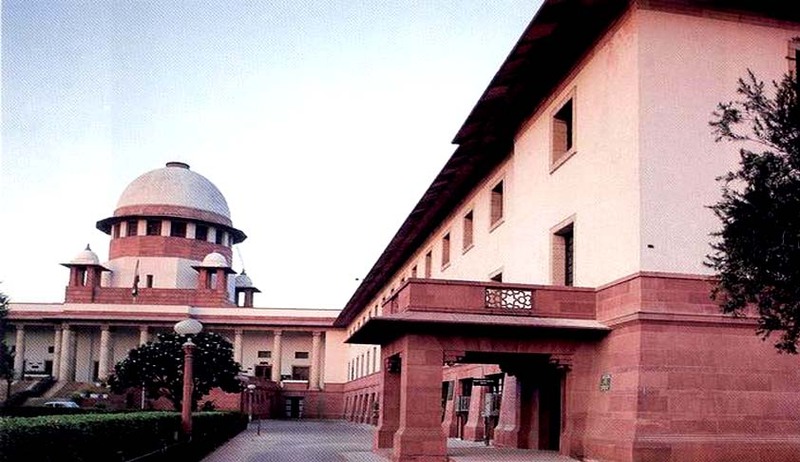 Relying on the said decisions, the Apex Court in the case at hand, adopted the principles laid down in U.P.Cooperative Federation Ltd. vs. Singh Consultants and Engineers (P) Ltd. (supra), and in Vinitec Electronics Private Ltd. vs. HCL Infosystems Ltd. (supra), and held that the courts below were not justified in injuncting the invocation of the three bank guarantees, executed by the State Bank of Mysore, at the instance of M/s RMSFC. The Court accordingly directed the State Bank of Mysore to honour the same forthwith. Disposing of the appeal, the Court also granted liberty to the 1st respondent to suitably amend the plaint, so as to mould the relief in order to claim whatsoever was due to it, under the contractual obligations with the appellant, in consonance with law.